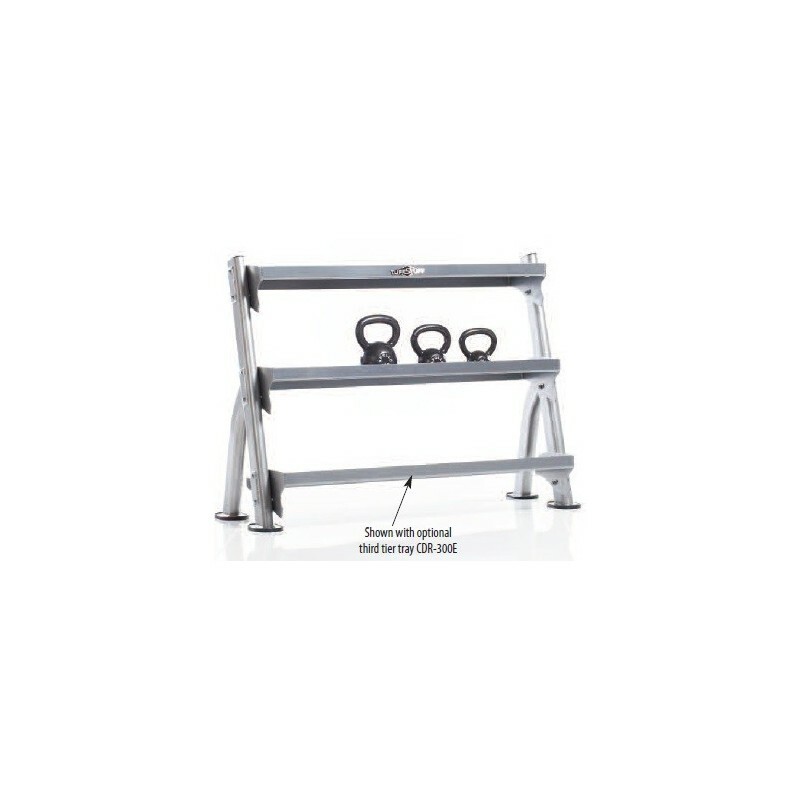 The TuffStuff CDR-300 2-Tier Tray Dumbbell Rack is the perfect racking your weights. The CDR-300 has a universal tray-style, which is ideal for hex dumbbells and will fit most other styles of dumbbells as well. Add the optional Tuff Stuff CDR-300e for a third tier rack. If you are looking to build your home gym, then the TuffStuff CDR-300 2-Tier Tray Dumbbell Rack is essential to keep your dumbbells safe, orderly and not strewn all over your floor.